Has 7 New Metal horseshoes 4 steel stars and 2 cast-iron spurs. 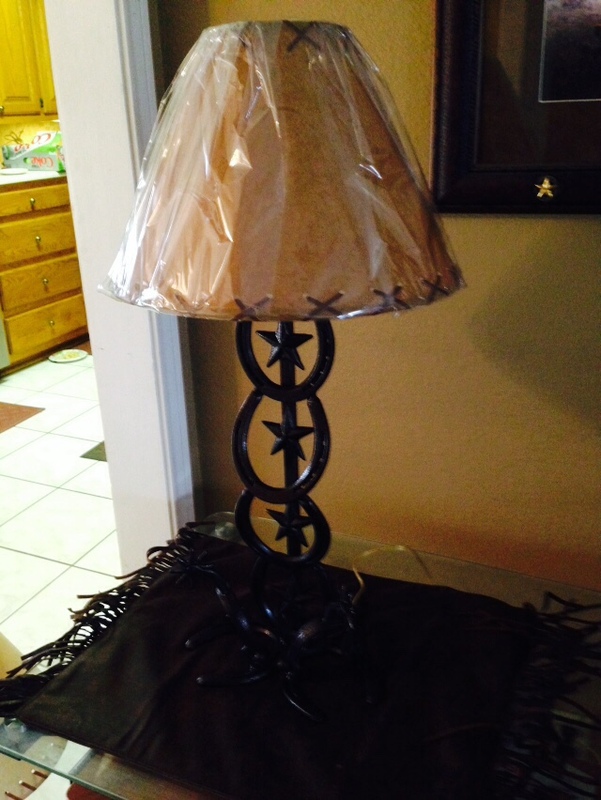 It stands approximately 19″ tall to the top of the light socket, 25″ to the top of harp and is approximately 11″ wide at the bottom. I can add a 3 way socket if you want one just let me know. 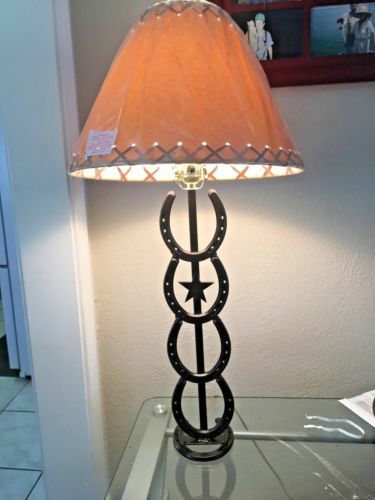 Has 5 New Metal Horse Shoes 1 Steel Star. It stands approximately 19 1/4″ tall to the top of the stem, 28 1/2″ to the top of harp, approximately 4″ wide at the bottom and 4 1/2″ front to back . I can add a 3 way socket if you want one just let me know. 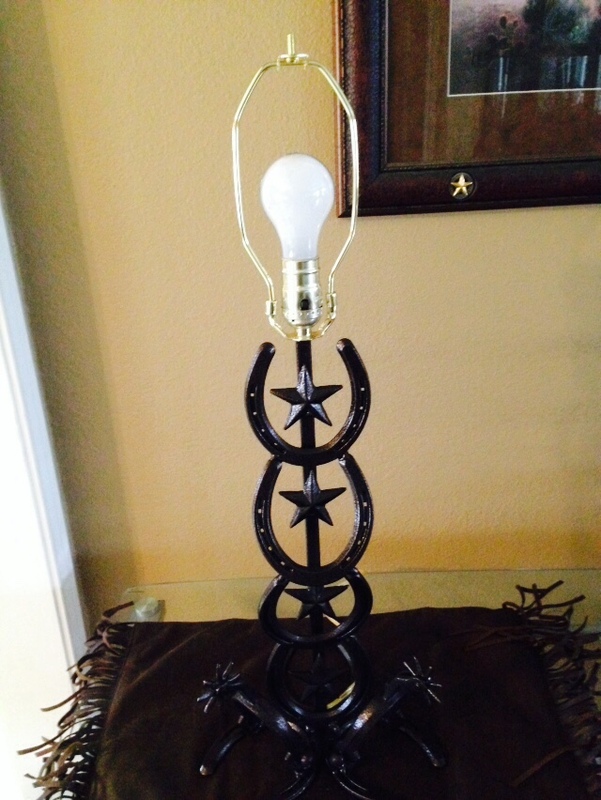 Has 4 New Metal Horse Shoes 1 Steel Star. It stands approximately 13″ tall to the top of the stem, 21″ to the top of harp, approximately 4″ wide at the bottom and 4 1/2″ front to back . I can add a 3 way socket if you want one just let me know.